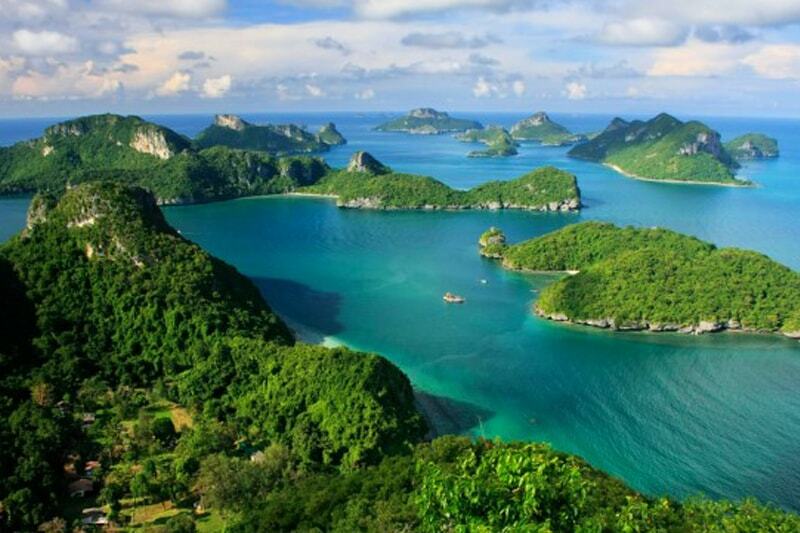 Angthong National Marine Park is a pristine archipelago of 42 islands in the Gulf of Thailand. 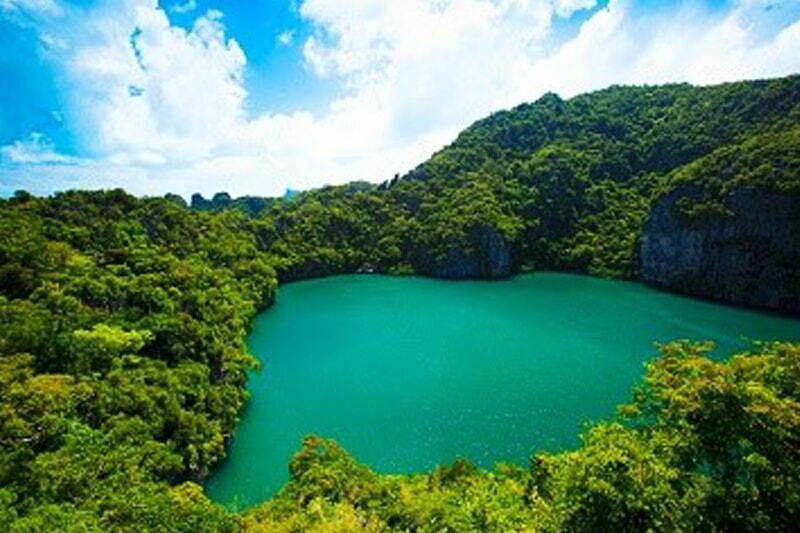 It features towering limestone mountains, thick jungle, white-sand beaches, waterfalls and hidden coves and lakes to explore. Within sight of Koh Samui, Angthong Park is a protected area of more than 100 square kilometers of land and sea. It is home to a rich variety of exotic wildlife and sea creatures. Snorkeling, hiking, sea kayaking, diving, and simply relaxing are the main activities to enjoy at Angthong. Most Angthong visitors arrive on a join-in day trip or by boat charter from Koh Samui or Koh Pha Ngan. For those who wish to stay overnight, there are simple bungalows and camping tents available on Koh Wua Ta Lap. The Park Headquarters also hosts a simple restaurant. Despite its increasing number of visitors, the Angthong islands remain the postcard-perfect image of a tropical paradise.